When I drive myself, actively trying to execute my Vestibulo-Ocular Reflex correctly in order to make more accurate spatial predictions and manoeuver safely, I don’t get nauseous or motion sick but I do get tired fairly quickly. 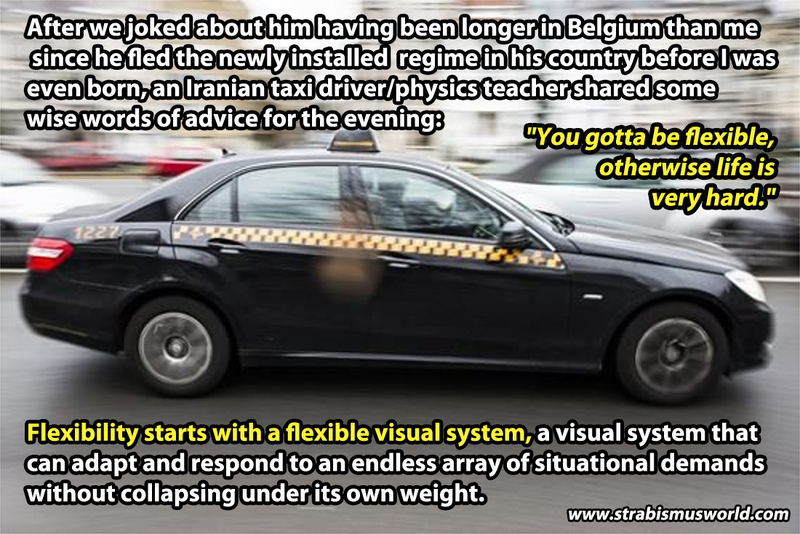 When someone drives me, allowing for me to ease up on the connection between my eyes and vestibular inner-ear organ, I get less tired but I do easily get motion sick. The key to solving both of these problems is to further automate and smooth out the vestibulo-ocular connection by actively, but slowly, targetting that objective. An easy and reliable VOR will make life easier in so many ways.